Have you ever wondered why some shoppers always find amazing bargains when you seem to pay full price for nearly everything? Bargain shoppers aren't exceptionally lucky; they've simply learned where to look for the best deals. 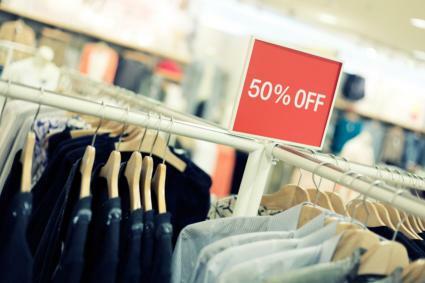 Every store offers some significant discounts if savvy shoppers know when and where to take advantage of them. Thrift, consignment, and resale stores: Many "used" items may never have been used at all, and it is possible to purchase high-quality items at bargain basement prices. Warehouse stores: Non-perishable items can be a great bargain in larger quantities at stores like Sam's Club and Costco because they will not spoil. Dollar stores: For simple, generic items, opt for dollar stores like Dollar General and Family Dollar for guaranteed low prices. Always double check the quantity to be sure the deal is worthwhile. Outlet malls: For discontinued, slightly irregular, or overstock items, outlet malls like Tanger Outlets are the perfect resource. Many luxury stores, including Lenox, Mikasa, and Bose offer outlet stores for bargain hunters. Purchase generic items instead of name brands whenever possible, particularly for "behind-the-scenes" consumable staples such as sugar, bleach, spices, or baby powder. Experiment with lower-cost brands of favorite products to test for taste and quality. You may be surprised by the results, and could opt for cheaper items by preference instead of price. 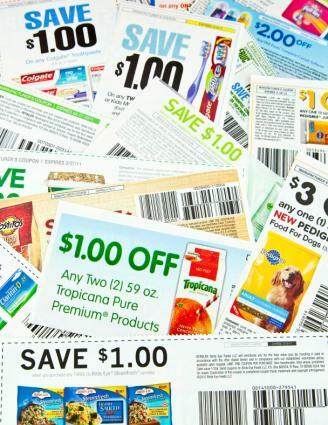 Watch grocery stores for double coupon days and special discount sales events. Plan weekly menus based on grocery specials and seasonal food instead of out-of-season, more expensive items. Shop with a list - whether it is a grocery list, school supply list, or gift list - to avoid unnecessary or impulse purchases. If you find a good deal on an item that is sold in bulk, try to split the cost with a friend to minimize waste. Always look at per unit prices rather than total package prices. Some food companies have started placing smaller quantities in full-size packaging to give the illusion of competitive pricing when the per ounce or item cost may actually be higher. Research big ticket items online for price comparisons prior to visiting a store or placing an order. 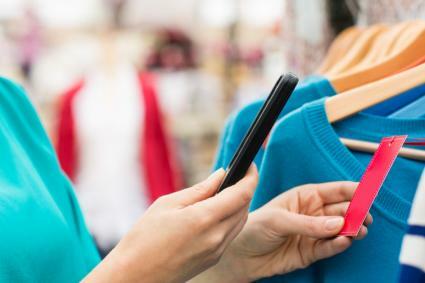 Nextag is a great resource for price comparison shopping, and there are also a number of smartphone apps designed to make it easy to compare prices. Ask the store's sales clerks when new merchandise is scheduled to arrive or when sales are planned in a particular department. Wait two or three months after hot electronic items hit the market; after the initial sales boom, prices usually drop. Buy big ticket items during the least expensive time of year. Cars, for example, are cheaper in the fall and winter as dealers strive to clear lots for the newest models. Watch for after-holiday sales with an eye toward the next year's celebrations and gifts. 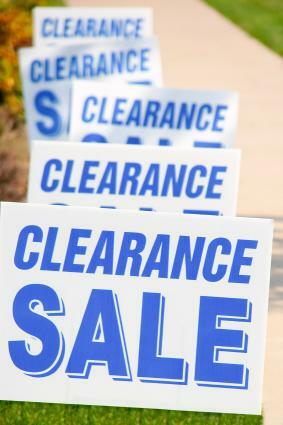 Decorations, accessories, and novelty items are often steeply discounted immediately after the holiday. Plan ahead to take advantage of other types of seasonal bargains. For example, patio furniture will be most affordable in late July or early August. Watch for sales rebates whenever possible. School supplies, electronics, and DVDs frequently offer rebates when combined with other purchases. If you like to shop online, remember to take the price of shipping into account. Look for free shipping offers whenever possible, especially if you're purchasing furniture or other bulky items. If you don't need the item, it's not a bargain. Avoid filling your home with clutter and wasting money on low-cost items that you don't actually need. Avoid impulse shopping. If you need a new comforter, don't buy the first one you like. Visit several different stores to compare prices and styles. Taking the time to do some comparison shopping will ensure that you get the best deals. 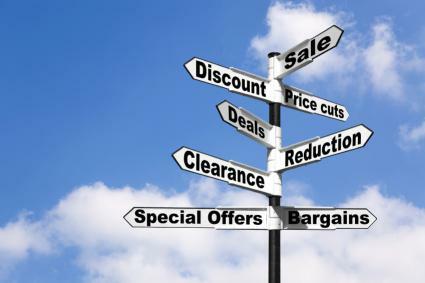 While it's only natural to want to get a good deal, remember that bargain shopping can have pitfalls as well. To be successful at bargain shopping, you must realize that price is only one factor that should be considered in your purchase. Quality: Sometimes low-priced merchandise is poorly made. A shirt that falls apart the first time it is washed is no bargain. You'll spend more money replacing or repairing the garment than you would have to buy a quality shirt the first time. Time management: If you're not careful, bargain shopping can become a time-consuming task that keeps you from attending to more important obligations. Never forget that your time has value as well. For example, driving all around town or spending full days scouring coupon websites in an attempt to save a few bucks may not be the best use of your time. Strive for balance when deciding which money saving tips are best for you and your family. Ethical business practices: Companies that make low-priced goods are often cutting corners on fair labor practices as well. For example, discount clothing is often in third-world countries under appallingly bad conditions. It's not uncommon to see children working in factories instead of attending school. In addition, workers are often not allowed breaks or refused overtime pay. Make sure you are comfortable with the business practices of companies that you support. A truly worthwhile discount is one that you can use to save significantly. Whenever you are bargain shopping, however, the most important thing to remember is to have patience and perseverance: not all discounts are available all the time, so be diligent in your quest for great deals. With a bit of foresight and flexibility, it is possible to drastically reduce your shopping budget no matter where or when you shop.